Jenyffer.com / Blog Masonry / Deer I say? 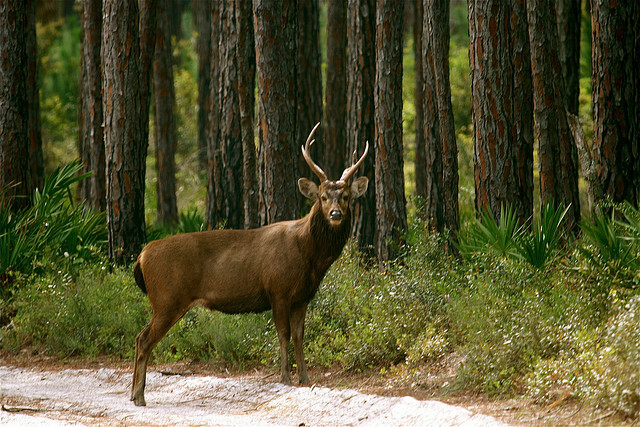 Did you know that the word “Deer” is just a generic name used to describe mammals from the Cervidae family? Has anyone ever wondered how many types of deer there could possibly be? Unless you are a hunter or big into hunting, as i’m sure they would know more about this kind of stuff. I found myself driving to work and passing a wonderfully magestic white tailed deer (yes i googled it.) and still not sure if it was an adult or a young buck or doe. Funny thing is, and i’m sure its the case, New England-ers won’t bother looking deer up on the web, because after all, as majestic as they seem, and you see one, you say to your self..”oh wow, a deer” and because you’re driving at the time you get to your destination, mention it to someone and then that’s the extent of the idea. You walk away, go about your day and nothing much happens after that. Hard to believe we have that much green to cover them all huh? Referred simply to as the whitetail in the U.S., this deer is native to the Americas. It is a medium-sized animal, with the male weighing anywhere between 130 to 300 lbs, and the doe weighs somewhere between 100 to 200 lbs. Its coat changes from brown in the summer to a grayish-brown as winter approaches. The white-tailed deer is so named because of the prominent white underside on its tail, which it flags as a warning or when it senses danger. 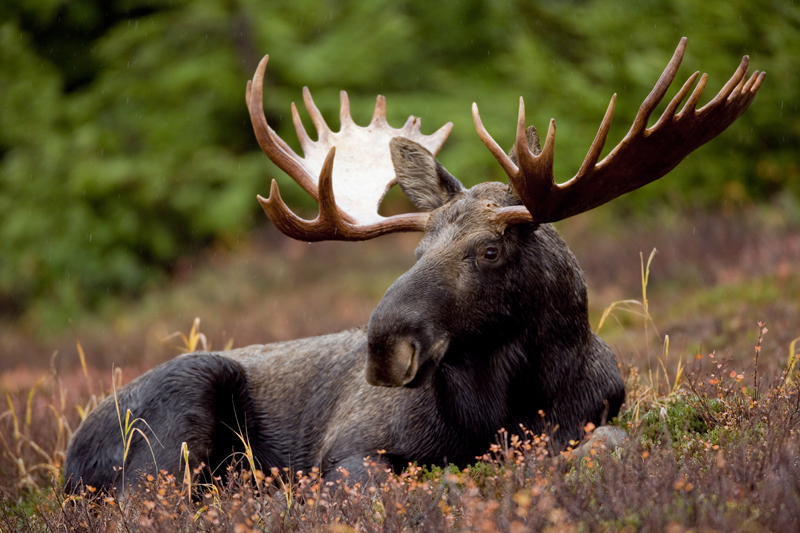 The largest and tallest of all the deer species, moose are typically found in cool climates, especially northern parts of Asia, Europe, and U.S. They can weigh as much as 1,800 lbs. The stags can be easily differentiated by the massive leaf-shaped antlers they possess that can span a length of up to 6 ft. They have long faces and a “bell” – a loose, hanging flap of skin under their throat. Despite their enormous size, moose are very good swimmers, and can wade several miles in water in search of food. Found all over South American deserts and the U.S., this deer gets its name owing to the large mule-like ears it possesses. 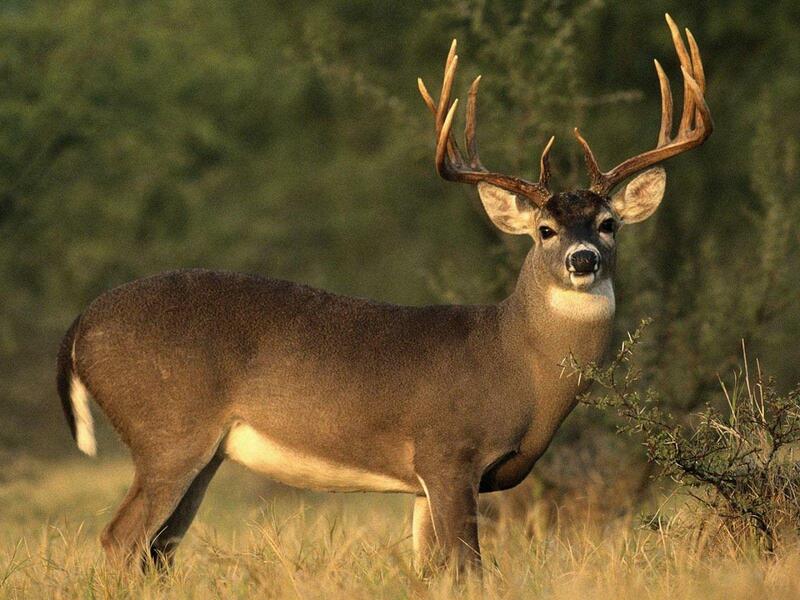 A black-tipped tail, forked antlers, large ears, and a white patch on their hind sides is what differentiates these deer from the other species. Its grayish-brown coat makes it easier for the deer to adapt to the desert surroundings. Popularly known as Reindeer, this deer inhabits the Arctic and sub-Arctic regions. This is the only species where both male and female grow antlers. They have two thick layers of woolly fur which act as insulators in the freezing weather. They cover a distance of over 3,000 miles during their annual migration to the Arctic, a feat unparalleled by any other land mammal. 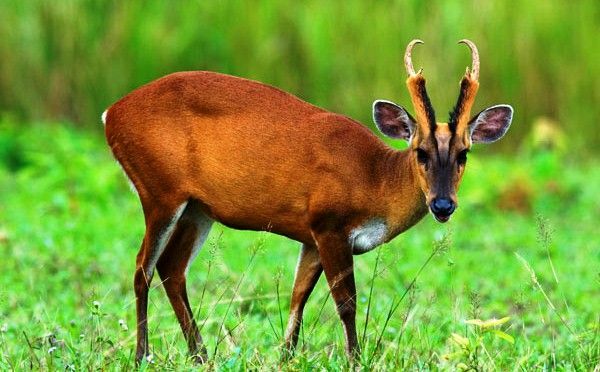 Also called “Barking Deer”, this deer is widespread across Southeast Asia. They are solitary creatures and prefer to roam alone. They emit a deep bark-like sound (hence the name Barking Deer), if they sense danger approaching. This species is omnivorous, and is known to eat bird eggs along with grass and shoots. Its name comes from the word “shika” which means deer in Japanese language. It is also called the Spotted Deer. It is found all over Eastern Asia. During the mating season, males utter loud shrill whistles that can be heard over a mile away. These deer were prized for their velvet antlers in China and Taiwan. Native to Southeast Asia, this deer is found in almost all parts of Asia. These deer have three-tined antlers, which are used to carve knives and handles. Living in tropical seasonal forests, these creatures are easy preys for tigers, leopards, and crocodiles. They stomp their hooves as a warning signal. Spread all over central Europe and United Kingdom, this deer prefers to graze in the open grasslands. Their coats are brown and change to a darker shade in the colder months. These deer are very good jumpers, and can jump over 2 ft high and 5 ft across. There are four sub-types in this species, each having different kind of coat pattern: the common, menil, melanistic and leucistic variant. Occurring in huge numbers across the Indian subcontinent, this deer prefers to stay in herds. 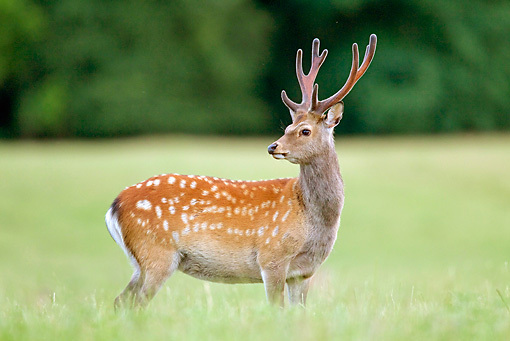 They have lyre-shaped antlers, and bawl in a primitive way as compared to other deer species. The meat from this deer is highly popular as compared to that other species.